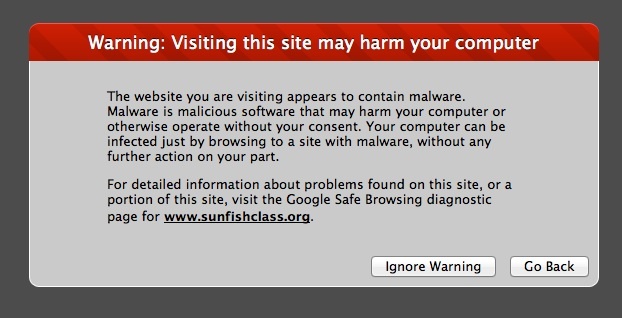 The US Sunfish Class web site has been hit by a malware infestation. If you visit the site, or any regional site, you see an ominous warning instead of the normal friendly Sunfish web site. In the meantime, Eric Woodman, the New England Class Representative, has created a temporary FaceBook page here where he is posting current information.